Open-ness: residents share all sorts of information without anyone who will listen, from the banal to the profound, from the libellous to the incriminating, from the funny to the informative. All humanity is there, the good, the bad and the ugly. Serfdom: most of the residents on twitter lane are serfs who rent their property much like tenant farmers or sharecroppers. The rent they pay to their landlords is not a financial one, but an informational one. Residents volunteer numerous personal details: IP addresses, mobile phone numbers and address books in return for a place to stay. Some people are calling it digital serfdom. Short attention-span: although a friendly and open bunch, the residents of Twitter Lane have very short … where was I … ah yes, short attention spans and communicate in even shorter messages. Residents are typically obsessed with news, celebrities and sport. They are well supplied with the very latest real-time information on all of these things and more. However, sometimes the cacophony on Twitter Lane means it feels like everyone is talking, but few are listening. 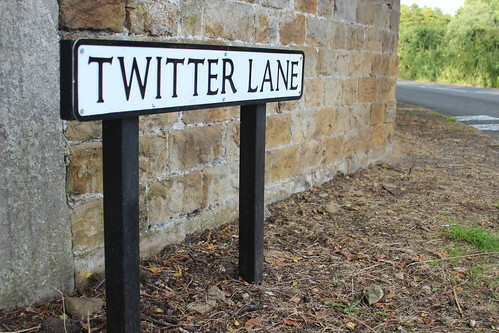 So, Twitter Lane is an extraordinary place, with a large and a burgeoning population. Two important questions currently hang over it, how much is it worth and how many more people are going to want to live there on a long-term basis?